The Steadicam Solo Stabilizer and Monopod is a multi-use tool that is handy for both videographers and photographers. It extends out to "about" shoulder height and can support cameras up to 10 lbs. 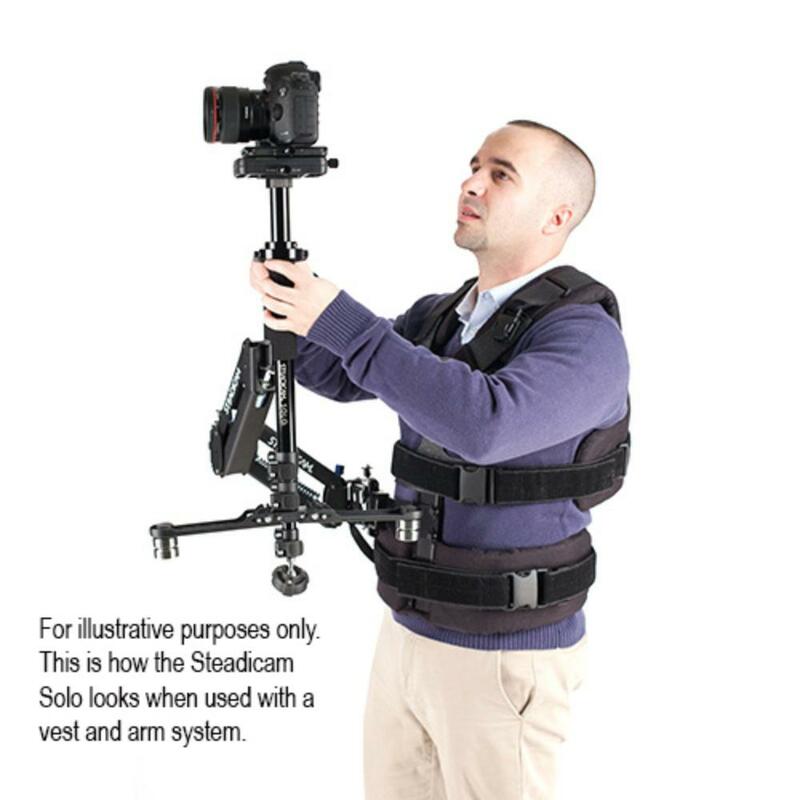 You can hand-hold it or use it in conjunction with a Steadicam arm and vest system (not included) for run-and-gun style footage. 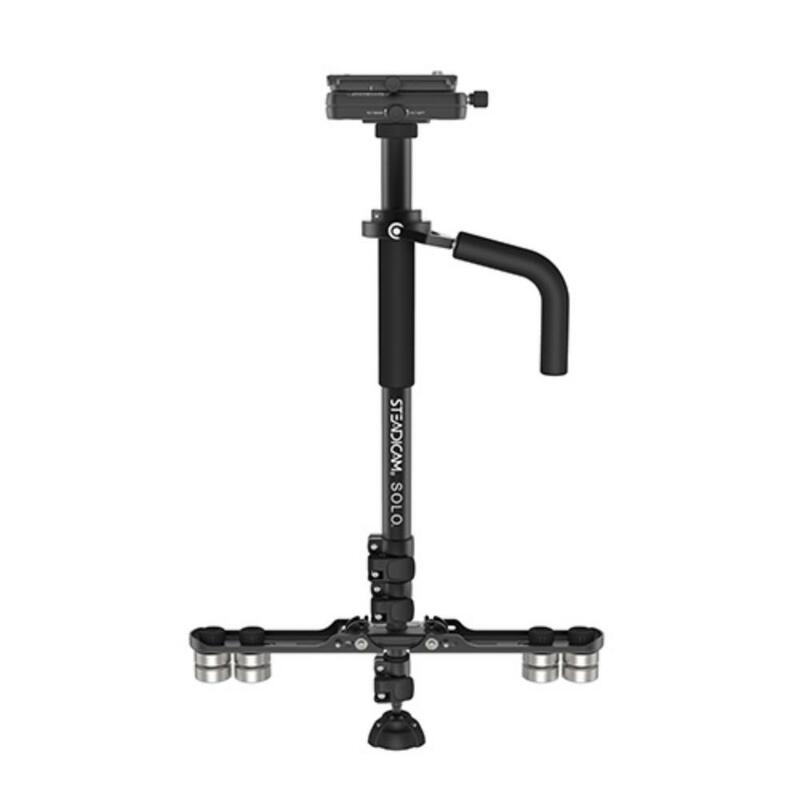 This stabilizer is ideal for travel shooting, hiking, lean productions, and events. • This rig is compatible with cameras up to 10 lbs.